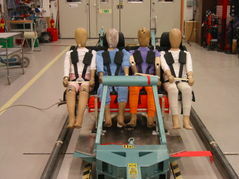 The main reason for a child seat is safety. 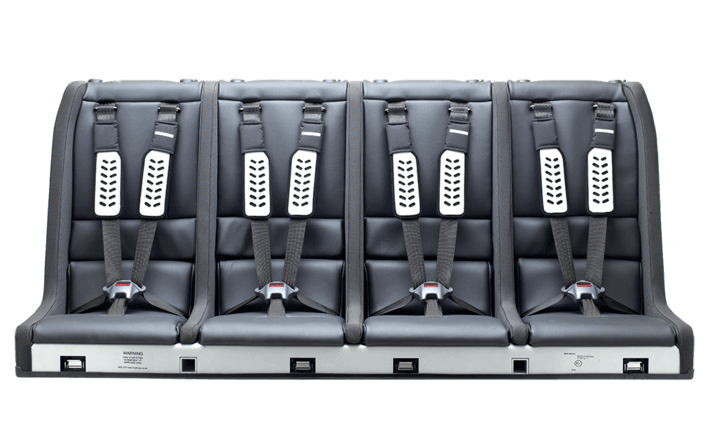 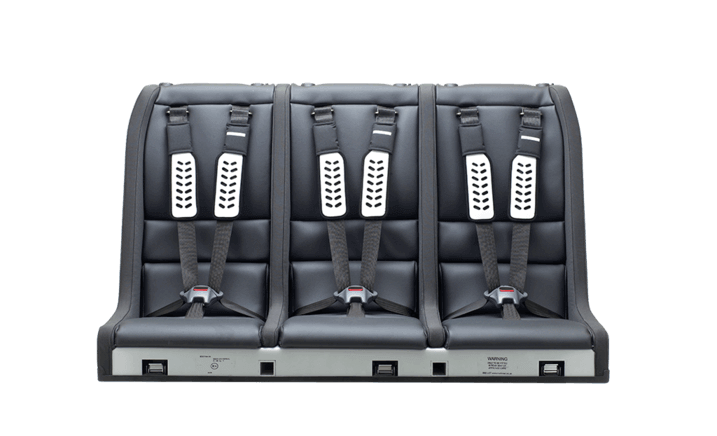 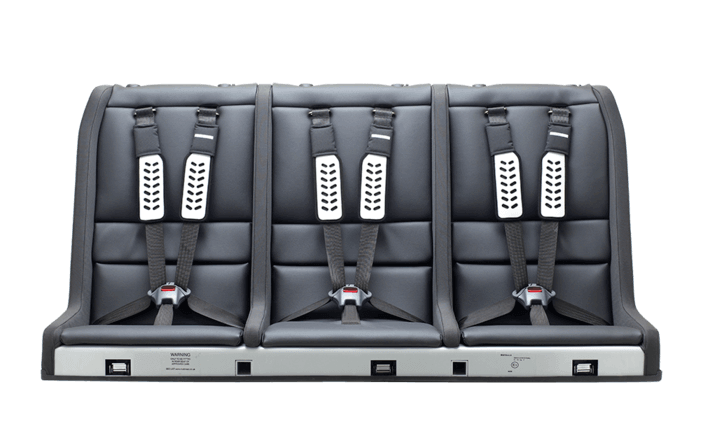 The Multimac has been approved to the European Safety Standard for child seats, ECE 44-04, and greatly exceeds all the crash test requirements. 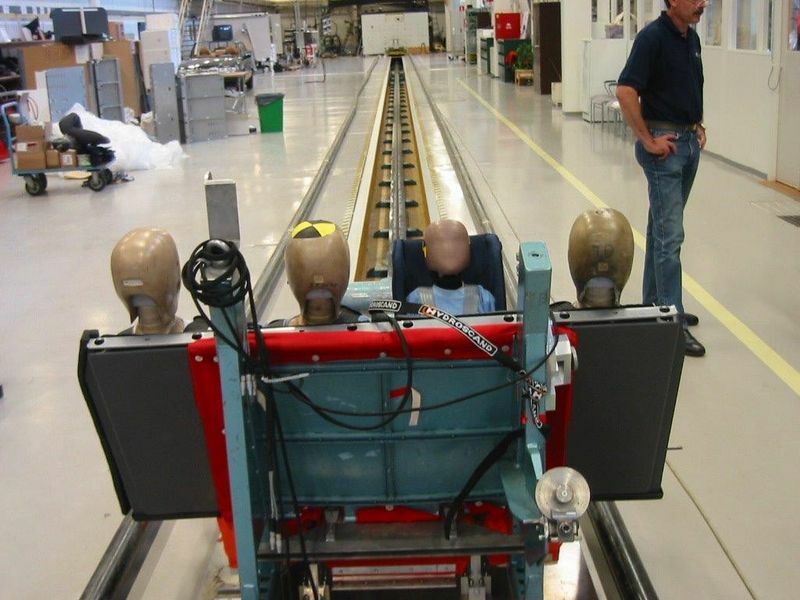 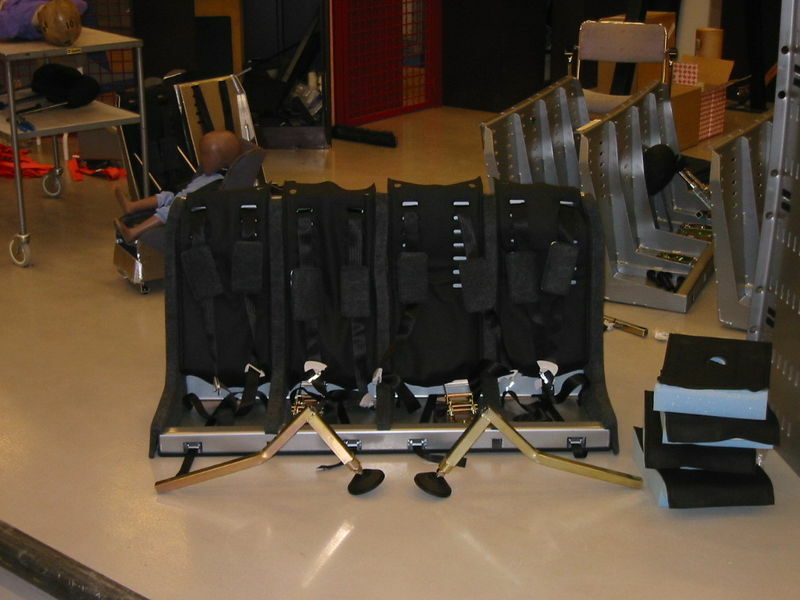 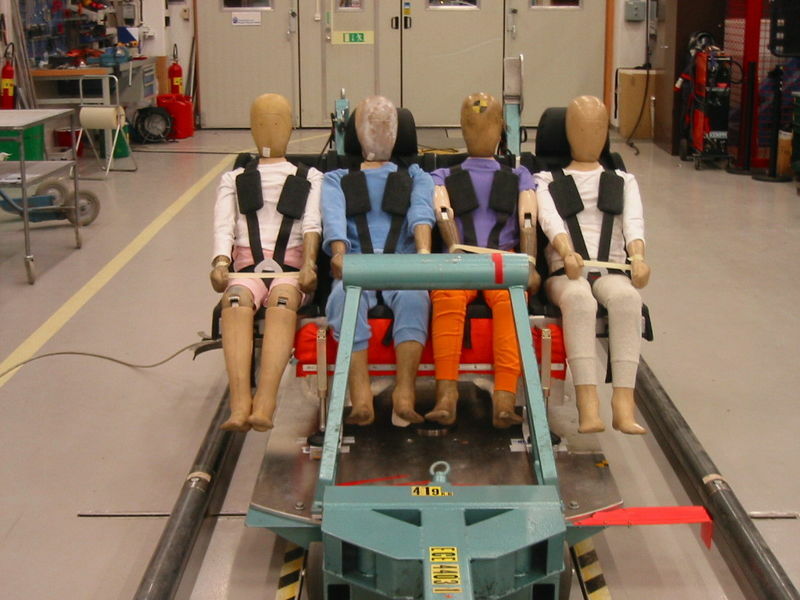 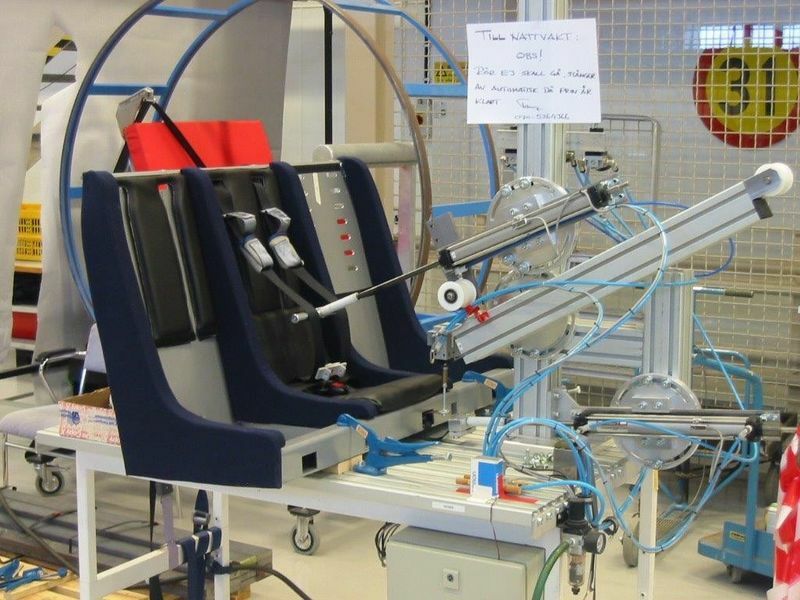 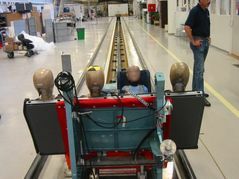 This is remarkable because it has to cope with dramatically variable loads – from a single 9 month old to 4 x 12 year old test dummies - in fact to cover all the scenarios, 11 different child age/load combinations have to be crash tested! 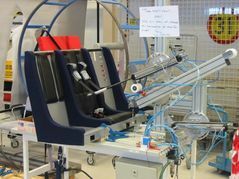 When the Multimac is put on the test seat, it looks like a ‘sofa on a motorbike’, with the 2 outer children overhanging the test seat. 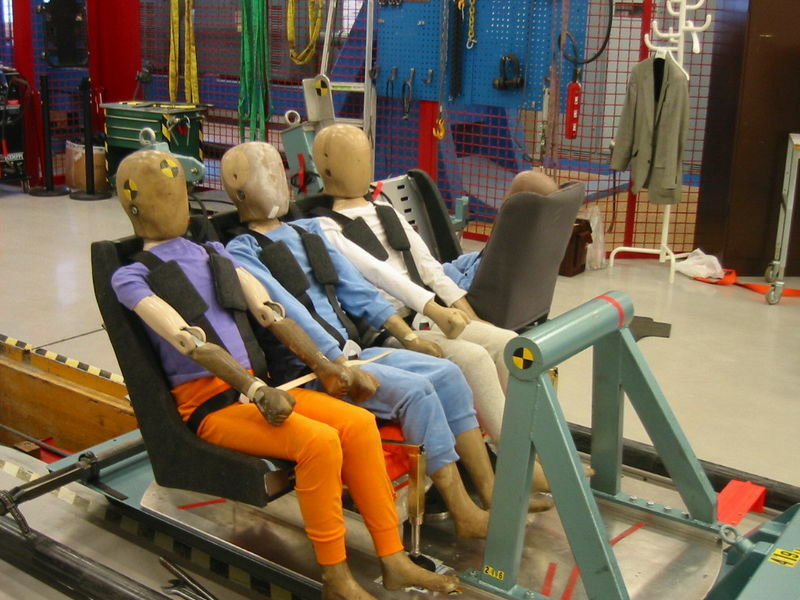 And in any of the 4 seats, there can either be: no dummy, a 9 month old, an 18 month old, a 3 year old, a 6 year old or a 12 year old. 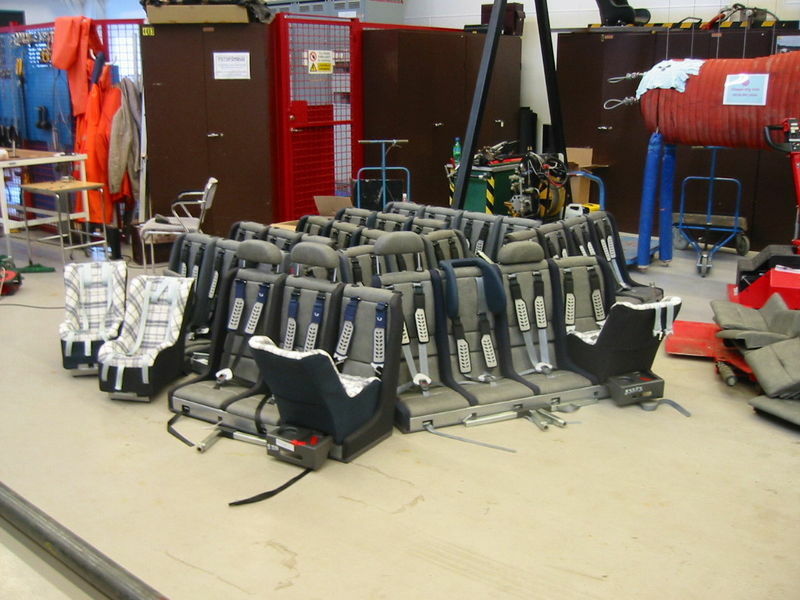 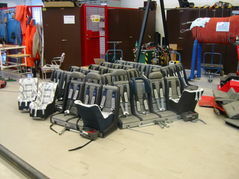 To simulate all possible worst case loadings, we have to do 11 crashes for each version of the seat. And this involves 28 dummies, which all have to be rebuilt after every crash. And we have to rent the test house for a week, rather than a half day, and it may not be available. 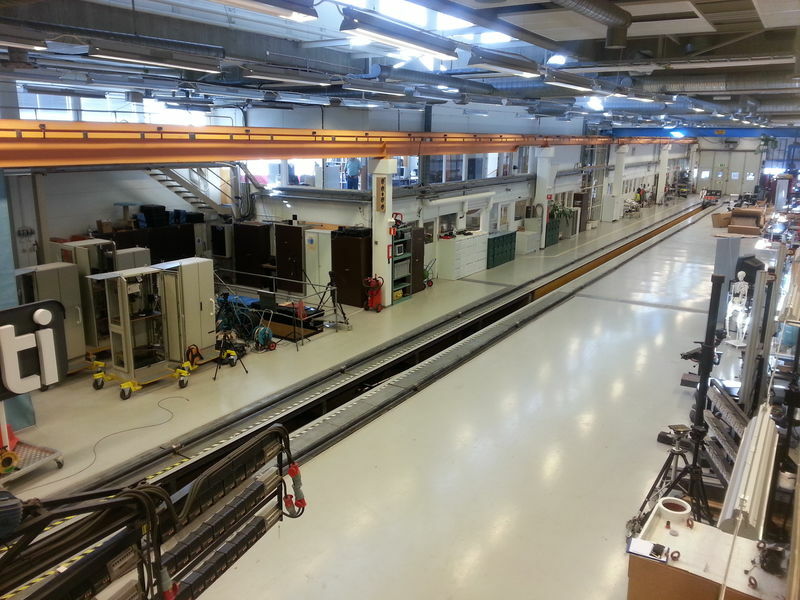 And where we test [Sweden] they do not have 4 x12 year old dummies, so 2 have to be rented in. 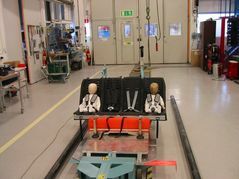 So the logistics and cost of testing the Multimac are huge compared with regular child seats.